The heat is on and summer vacation is just around the corner. As you start daydreaming about weekend road trips or a long week at the shore, your summer vacation planning starts here. As every seasoned parent will tell you there are a few situations you should always be prepared for before you pack your bags. 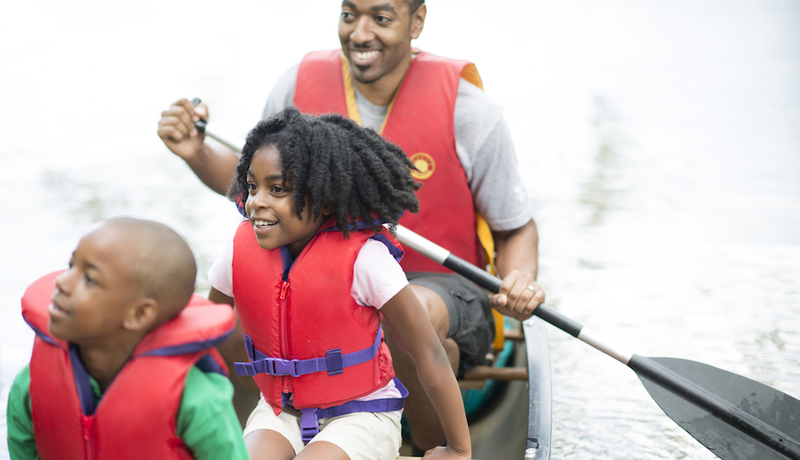 Evan Weiner, MD, Director, Emergency Medicine at St. Christopher’s Hospital for Children has your complete guide to safe summer fun. When the going gets tough, parents are fully prepared for anything. It’s smart to keep a bottle of over-the-counter saviors like an antibiotic ointment, ibuprofen or acetaminophen handy. If car rides make their stomachs do summersaults, a long voyage can seem impossible. Keep the queasiness at bay by having them focus outside the car window rather than books, games, or videos, says Dr. Weiner. Another rule of thumb: Avoid heavy meals before loading into the car. Instead, opt for bland roadside snacks like peanut butter crackers or a banana to keep their stomachs calm. Sunburn is a common enemy of parents and kids alike. Shield your child by applying sunscreen that’s at least broad spectrum SPF 30 regularly. Dr. Weiner suggests using lotions over sprays, as sprays can be applied unevenly. He recommends applying liberally and reapplying every 2 hours. Pack extra hats, cover-ups and sun shirts for days where your family itinerary is packed and you may not be able to reapply. Make your way to the shore when you know a lifeguard will be on duty and set up your umbrella close by the stand. Having an extra set of eyes oversee your family will give you peace of mind while you’re relaxing and ensure your family is in a safe spot for swimming. You should remember that “swimmies” or “wings” are not approved safety devices and you should not depend on them to keep children safe. Make sure a responsible adult is supervising children at all times while they play in the pool. If an emergency happens when you’re away from home, it’s important to have the number of your child’s pediatrician for guidance on what to do, where to go, and who to see if they are unavailable. If it is a true emergency, don’t hesitate to call 911. Model behavior is one of the most powerful ways to get a message across to your kids. If you’re reapplying sunblock every hour on the hour, checking to see a lifeguard is on duty, and making healthy choices while you map your family’s itinerary for fun, they’ll notice. Plus, watching how you handle emergency situations can help them learn what to do if you’re not there to swoop in—a life skill that lasts long after summer is over. For injuries on the road, at the beach, on vacation or at home, the experienced staff at St. Christopher’s Hospital for Children is ready to help. For more information, visit stchristophershospital.com.